Happy New Year - A new Decade Dawns! First, a Happy New Year to all of you! 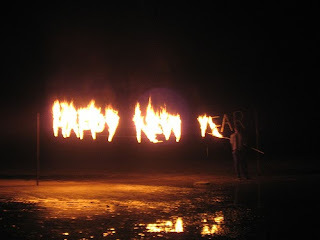 May 2011 and the new decade bring you the cheers and fears! We know we've been away for a while, and we apologize. It's been a busy couple of months around here for all us, with the Holidays, Exams, Performances and much more. Like most blogs, this one is run by "normal" folk (as normal as any of us around here are...) and sometimes our "real" lives can run away with us. But this is the New Year and the New Year is time for resolutions... So we here at Ottawa Horror resolve to do our best to keep this site going for you and keep up with updates. And YOU can help us! Do you have a story idea? A whole article? Seen a great horror film and want to tell everyone? Write for us. Email us at stories@ottawahorror.com with your idea, or your article, and we'll do our best to get it up on the site. Have you made a film? Written a novel? Throwing a classic Horror Movie Party? Email stories@ottawahorror.com with the details, we'll do our best to get it on the site. And don't forget our new forums. They're free and fun, but we can't keep them going without you. And tell a friend! Finally, in the spirit of New Years Resolutions, here's a great little resolution from the Creepy Puppets... 'cause you just never know!